Al-Sarkha or Bakhah (Arabic: الصرخه أو بخعة) is a Syrian village in the Yabroud District of the Rif Dimashq Governorate. 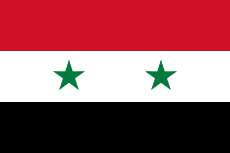 According to the Syria Central Bureau of Statistics (CBS), Al-Sarkha had a population of 1,405 in the 2004 census. Its inhabitants are predominantly Sunni Muslims and Greek Orthodox Christians. It is one of only three remaining villages where Western Aramaic is still spoken, the other two being Ma'loula and Jubb'adin. ↑ Smith, 1841, p. 172.